Experience the Full Power of Macro. 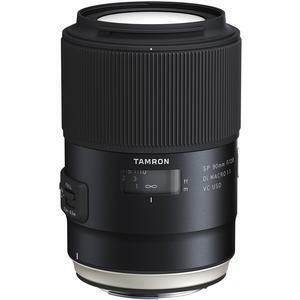 The Tamron SP 90mm f/2.8 Di VC USD Macro 1:1 Lens is a versatile lens that allows the photographer to enjoy shooting in a wide variety of circumstances. 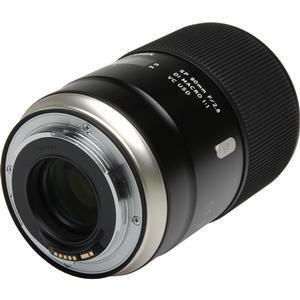 This lens can be used particularly for macro photography as well as for portraiture by taking advantage of the fast f/2.8 aperture and remarkable bokeh capability. 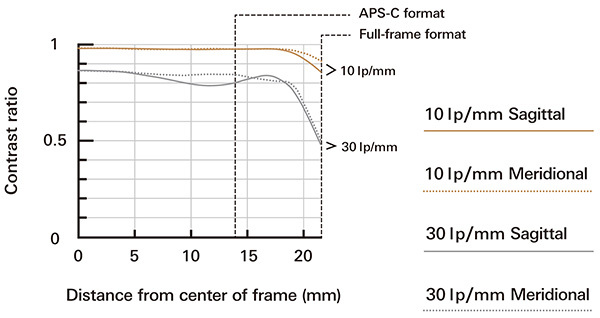 XY-Shift compensation has been newly added to reinforce Vibration Compensation (VC) functionality, further improving image stabilization capabilities at any shooting distance from infinity to macro. Advancements in USD control software have also increased AF focusing speed and optimally fine-tuned for various framing conditions. 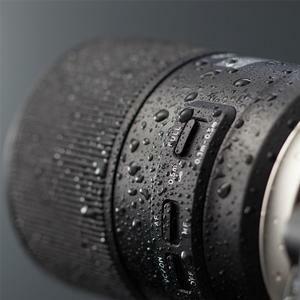 With a 1:1 magnification ratio, minute objects are captured in incredible detail. The SP 90mm features one LD (Low Dispersion) and two XLD (eXtra Low Dispersion) glass elements that in consonance help to control chromatic aberrations at a very high level of performance. Highly durable, Fluorine Coating is applied to the top element surface and efficiently prevents condensation of moisture and repels smudge-causing substances. Furthermore, a high standard of Moisture-Proof and Dust-Resistant Construction has been added to prevent intrusion of dust or water droplets. 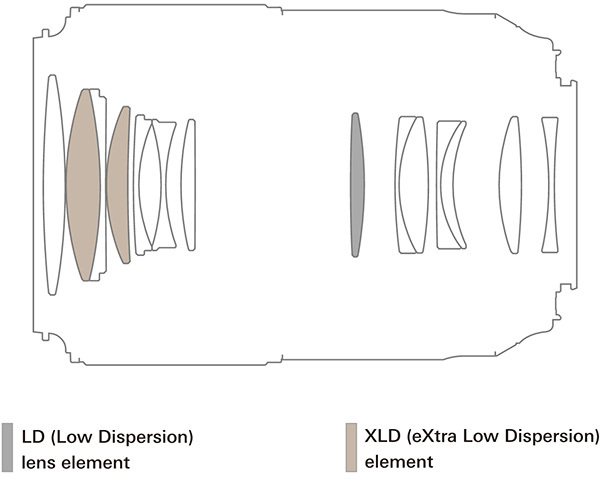 The lens features an optical construction of 14 elements in 11 groups, including one LD (Low Dispersion) and two XLD (eXtra Low Dispersion) glass elements that help to control lateral and on-axis chromatic aberrations at a very high level of performance. A Floating System works in tandem with the optical construction to efficiently compensate for inherent aberration changes subject to varying distances. 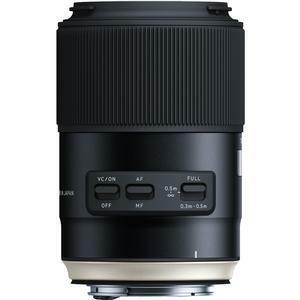 Therefore, this lens ensures seamless and outstanding depictive capabilities across the entire shooting range -- close or far. Flare or ghosting can be detrimental to a decisive shot. A combination of 2 types of coating -- eBAND (Extended Bandwidth & Angular-Dependency) layered on top of BBAR (Broad-Band Anti-Reflection) -- dramatically improves anti-reflection efficiency to deliver flawless, crystal clear images even against harsh beams of sunlight. 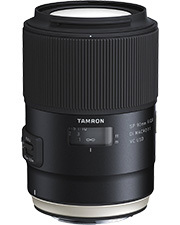 Tamron has maintained a reputable standard for generations of 90mm macro lens models -- all the way from manual focus lenses to the current AF models -- for their exceptional depictive quality with spectacular bokeh. They also set a high standard to keep pace with the upward migration of digital cameras with advanced technical features and high pixel density. These polar traits are now balanced at a higher level: raising resolution performance to a new standard of sharp images, while rendering a soft and smooth transition in gradation of blur-effect in background objects. Optical simulations were thoroughly conducted to realize both well-tuned bokeh effects, while minimizing disturbance in dual-line smear of linear-shaped objects naturally blended into the overall bokeh effect. 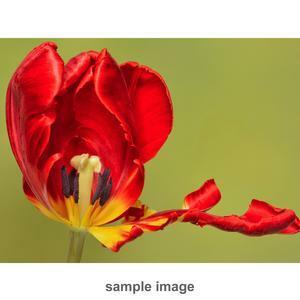 Minute objects are projected on the camera's image sensors at a magnification ratio of 1:1 so that the photographer can enjoy a macro world on print that would otherwise be impossible to experience with the naked eye. 1:1 MACRO | EXPOSURE F/5 1/8 SEC. 1:1 MACRO | EXPOSURE F/2.8 1/50 SEC. 1:1 MACRO | EXPOSURE F/3.3 1/50 SEC. Fluorine coating, originally developed for use in industrial optics applications, has now been applied to the lens to offer long-lasting oil and water repellency. The water-and-oil-repellant coating applied to the front element surface instantly repels dirt or smudges for ease of cleaning and maintenance. 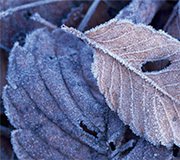 The coating is also durable to accompany the photographer on outdoor travels for years to come. An accelerometer has been newly integrated into Tamron's highly accredited VC to compensate for shakes on the x-y plane. The accelerometer in unison with a gyro sensor detects and enables motion compensation for camera shakes for a maximum efficiency in image stabilization optimized for distance ranges from infinity to macro. 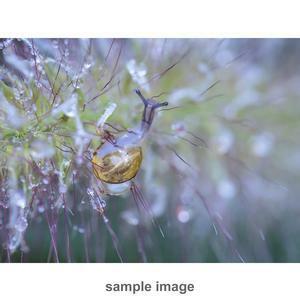 The USD (Ultrasonic Silent Drive) control software has been optimized for macro photography with increased focusing speed and positional accuracy when shooting in close-up settings. 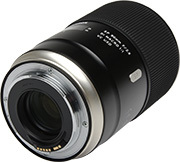 The AF drive responds rapidly yet quietly to zero in on the photographer's point of interest and the Manual Focus Override enables instant shift in focus when necessary. Moisture-Proof and Dust-Resistant Construction has been improved to an exceptionally high standard in lens protection, preventing any intrusion of dirt, dust, or raindrops. 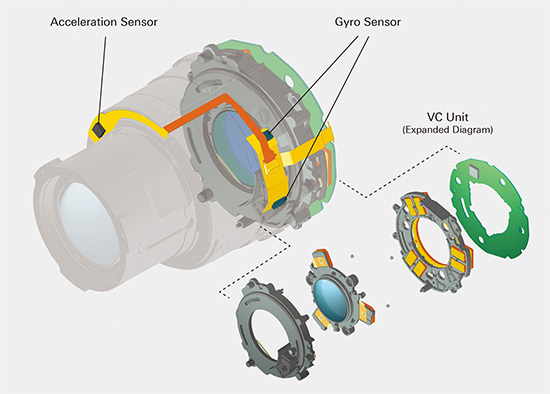 A rubber seal protects each switch on the lens and sealing member is applied to the mechanical interface between the focus ring and the lens housing. This construction further expands opportunities for shooting, ensuring reliability even in harsh, windy conditions and immediately after rainfall. 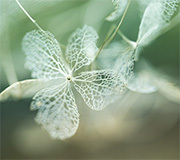 As the shooting distance to the subject is determined, the photographer can choose to manually limit the travel range of the focusing group. This reduces the amount of time that it takes to focus on the targeted subject, making it possible for swift AF operation and preventing a precious photographic moment from slipping away. With the IF system, the working distance from the front element to the subject does not change during focusing. The distance of 139mm is maintained even during close-ups. This allows the photographer to secure distance away from live, sensitive subjects and to prevent a photographer's shadow from intruding and disrupting a precious photographic moment.